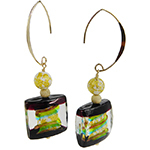 Spiraling, but not out-of-control! 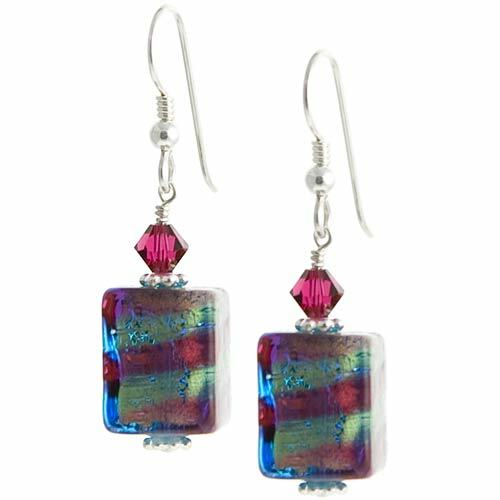 These bi-colored cube earrings add a little something extra in the way of a spiraling pattern of color circling around a solid base color. 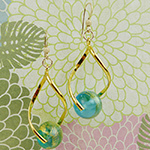 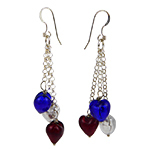 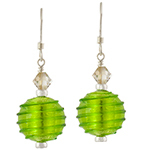 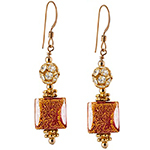 These gold foil beads are hung from 14/20 gold-filled ear wires and accented with Swarovski crystals.